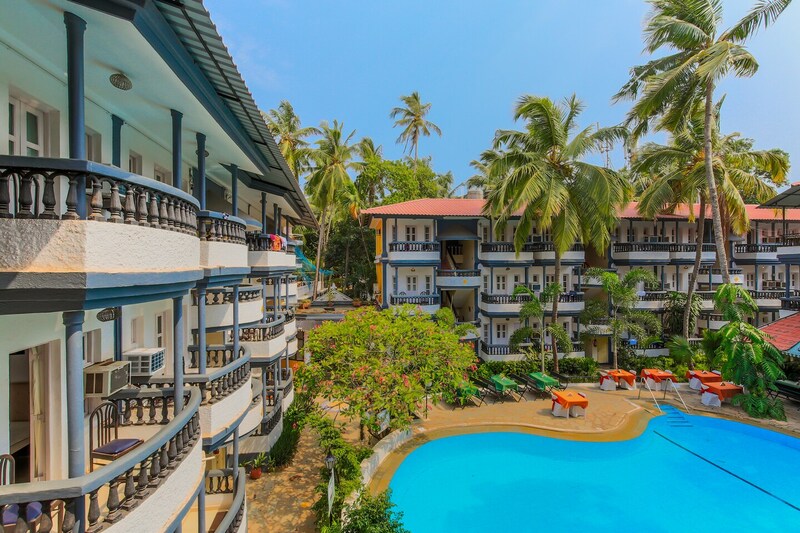 Santiago Beach Resort 2 located in Calangute, Goa is a gorgeous resort with all modern amenities and some extra luxurious facilities.It is situated quite close to both Calangute and Baga beach which are two of the most loved by both locals and tourists. The property is located close to Snow park, Tito Henry De Souza statue and Mojo play zones which are a must visit for anyone visiting Goa. The resort is colorful with very well decorated interiors. The pool is on the larger side with a great relaxing area around. There is an in-house restaurant for guests to grab a quick bite, a dining area and seating area to meet and chat, and a conference room for meetings. The hotel provides amenities like free Wi-Fi, AC, TV, power backup and CCTV camera services. A few markets close by are Downtown Gifts & More, Ali Baba Enclave, Arabian Nights Private Limited and Valanka Shopping Mall and Orchard Stores.